Director of National Intelligence Dan Coats told the Aspen Security Forum on Thursday that he wished President Donald Trump had made a different statement at his press conference with Russian President Vladimir Putin at the Helsinki summit on Monday. Coats traveled to Aspen, Colorado, where the nation’s elite gather annually to exchange ideas under the auspices of the non-partisan Aspen Institute. He was interviewed onstage by Andrea Mitchell of the left-wing cable news network MSNBC. 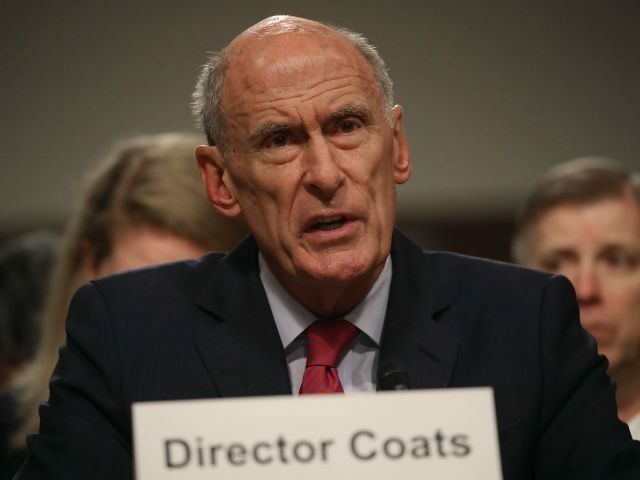 “I wish he had made a different statement, but I think that now that has been clarified,” Coats said, referring to the president taking Putin’s denials of interfering in the 2016 presidential election seriously despite the assessment of U.S. intelligence agencies. He noted that Russian interference had not changed the outcome of the election. Coats had other criticisms for the commander-in-chief. He also said that it was “probably not the best thing to do” for Trump to meet with Russian foreign minister Sergey Lavrov and then-ambassador Sergey Kislyak to the Oval Office in 2017. He told Mitchell that he had not known about the meeting beforehand. “You have to understand, we have a president who did not come through the system, came from the outside, I don’t think there was any nefarious attempt there to do anything — but that’s history,” Coats added, in Trump’s defense. Coats also reacted in surprise when informed by Mitchell that Trump was working to invite Putin to Washington in the fall. In the wake of Helsinki, Coats’s public assessment that Russia interfered in the 2016 election was widely quoted in the media as a contradiction of the president. Asked about why he had reiterated that assessment this week, Coats said he was just doing his job. Coats praised the president for his interest in his intelligence assessments, noting that briefings with him often ran overtime.